There’s a certain sound we all hear in our heads when someone mentions the jingle jangle mournings of nineteen eighties Liverpool. Candy Opera were around back then and made an impression – they got themselves into the weekly music magazines, hit the road and found fans. Fame eluded them, however, and they called it a day in the nineties. Then someone mentioned their timeless pop on an Internet forum and they were back in business. By Denis Parkinson. Once upon a time there was a Liverpool band called Candy Opera. It was the nineteen eighties and they burned bright, but then faded away. So far, so typical… you know the score: great demos, turning down record labels and a love of Love. But musicians have to remain optimistic on some level to write, record and perform original music. “History repeating itself,” as Candy Opera sang on the delicious ‘What A Way To Travel’ (listen below). Some bands enjoy commercial success, but some (perhaps more worthwhile) bands never get the exposure they deserve. It’s hard to explain why and it can be even harder to tell when something is finished… when it’s over. Some bands go to the ball, some don’t and the bigger story can take a long time to reveal itself. However, this group of lost Liverpool legends may have found their fairytale ending. 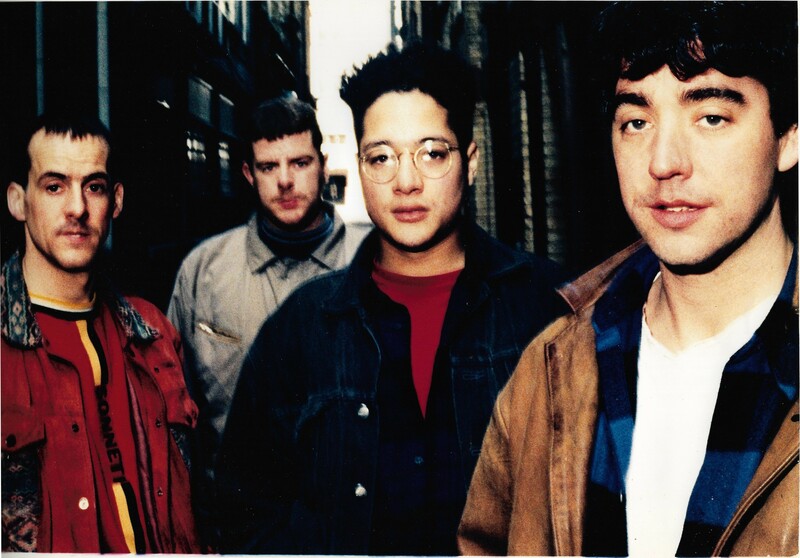 Based on the songwriting of Paul Malone, Candy Opera wrote songs, recorded music and played live for over a decade, eventually calling it a day in nineteen ninety three. “I grew up in a so-called impoverished area,” says Malone. “But my childhood was very happy and very insular; the world was within a street. As a kid, I didn’t really feel affected by the poverty.” You can hear that in the wonder of ’45 Revolutions Per Minute’, the deluxe reissue/release that comes out later this month. “My environment was the main inspiration for the songs,” reveals Malone. It’s true that you can hear the heartbeat of a city whose creatives were diving for dear life with every song at the time, but there’s also the timeless beauty of big melodies, funky guitars and polished piano arpeggios. Think Prefab Sprout and The Pale Fountains, but then think again. Record company interest, national press, TV coverage and live performances alongside The Pogues, The Go-Betweens and The Redskins couldn’t quite reach the critical mass and Malone and his band watched as contemporaries such as Aztec Camera, for example, rode a wave of guitar-based indie pop. Candy Opera had been left behind… until now. Listening to this collection of well-crafted songs is a nostalgic experience – which is an unexpected feeling to get from songs on first listen. But Candy Opera do sound like the very essence of what we have categorised as eighties indie pop: upbeat, melodic and (dare I say) jangly. It’s a charming album that feels very optimistic and almost innocent. When you remember how long these songs have been waiting to appear, though, it’s also a bittersweet listen. Things could have been so different for the band and ’45 Revolutions Per Minute’ is that rarest of beasts: a real window into the past when anything was possible. If not exactly a chance to change history, it’s a validation of something special that was in the air of Liverpool in the nineteen eighties. Lost, but not forgotten, indeed.